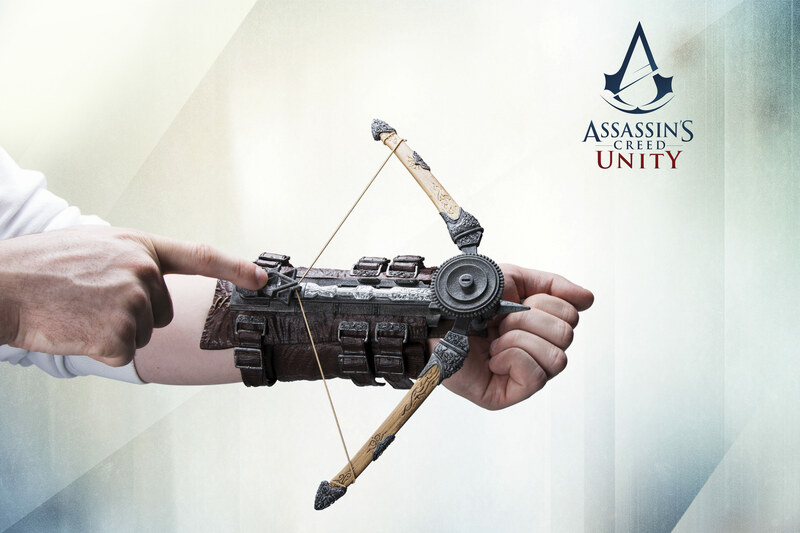 Assassin’s Creed Unity Phantom Blade Now Available! 1 Comment on Assassin’s Creed Unity Phantom Blade Now Available! Ubisoft announced today that the Assassin’s Creed Unity Phantom Blade, a wearable life-sized collectible, is now available in stores and online for $59.99. The Phantom Blade comes equipped with a fully-functional hidden blade, retractable crossbow and firing dart. The blade is meticulously crafted from a design by McFarlane Toys. It includes adjustable straps that fit most sizes. The replica is constructed out of thermoplastic and is safety tested for actual use. This item is a must-have for Assassin’s Creed fans over the age of 17. The Phantom Blade also includes a code to download the French Cavalry Pistol in the upcoming Assassin’s Creed Unity, available November 11 for Xbox One, PlayStation 4, and Windows PC. The bonus code can be redeemed on November 11 when the game launches across all platforms. For all things Assassin’s Creed, keep it here on NYCityGuys! You can also check out some images of the Phantom Blade below! Previous Entry NYCC 2014: Interview with Sam Marin, Paula Spence, Pete Browngardt and Eric Bauza of Regular Show and Uncle Grandpa! Next Entry The Eric Andre Show Season 3 Premieres November 6th!